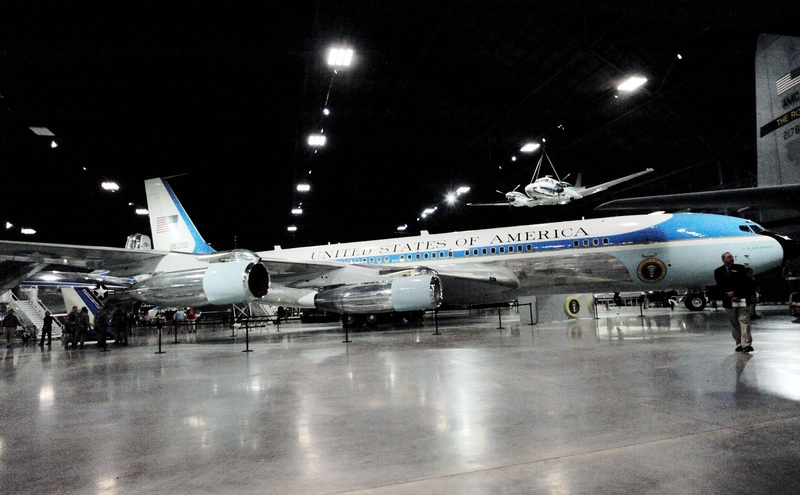 The National Museum of the United States Air Force opened its fourth building the first week of June. 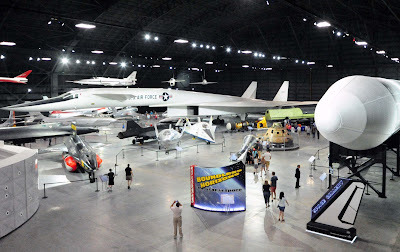 This $40.8 million project was entirely privately funded, with about 1/3 being generated by ongoing business operations and the rest provided by the Air Force Museum Foundation. The museum does not charge admission and is the largest military museum in the world. Dr. Jeff Underwood, Historian, explains a little about the process and how pleased they are with the building's opening. 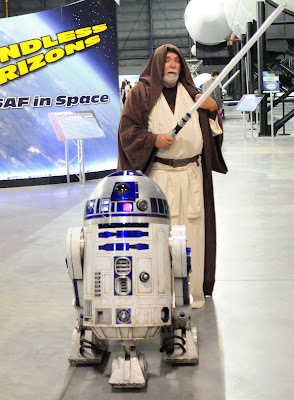 The Air Force pays for the utilities and some staffing, but the most common museum staff are the docent volunteers. 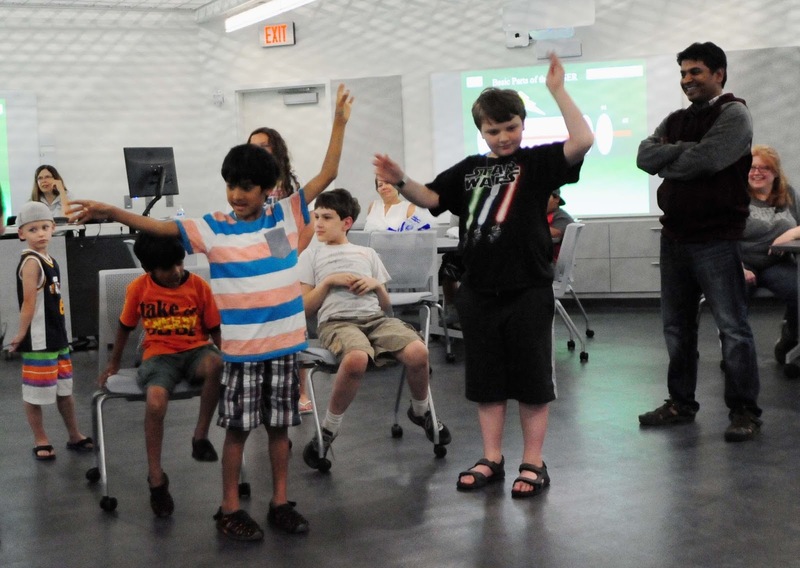 They undergo constant training to keep up with the changes in the museum and also the temporary exhibits. The museum would not be able to operate without there many hours of service. 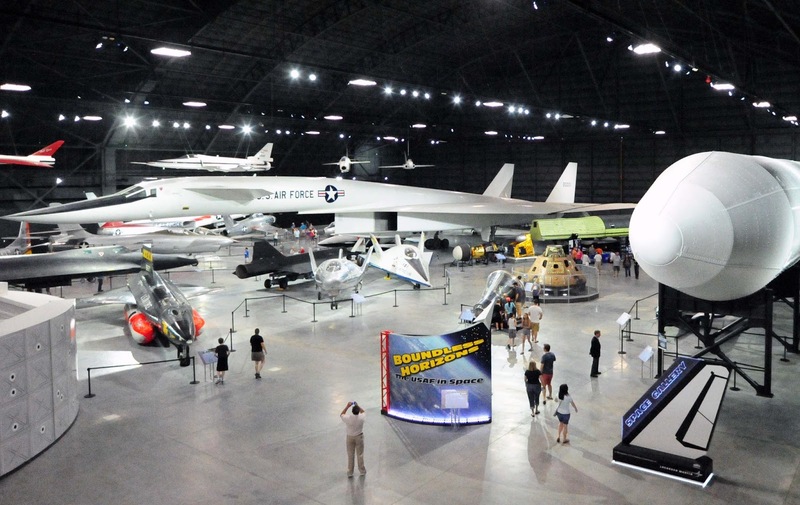 ﻿This view from the mezzanine shows the overall view of some of the Research and Development aircraft. Elevator access is available through the rocket gallery. 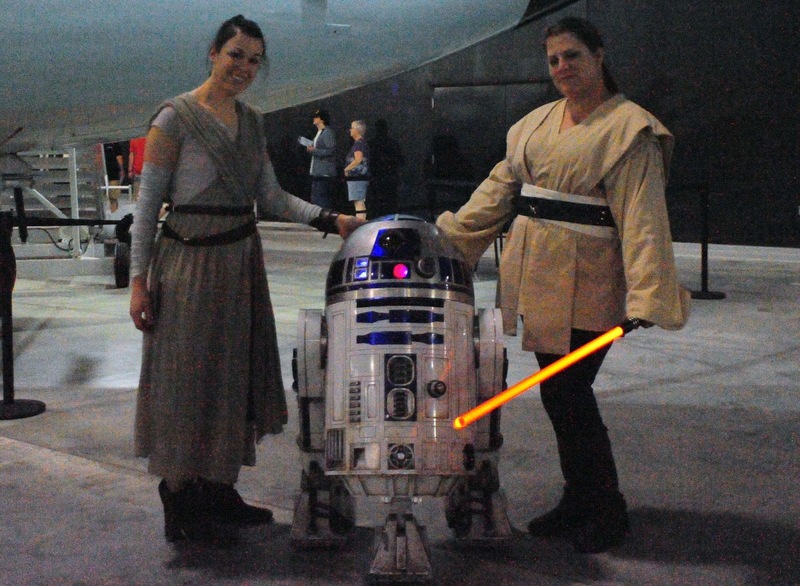 R2D2 brought many friends for the weekend, and light sabers were in abundance throughout the museum. Outside the museum, visitors checked out the Vapor Special Ops Supercar, which was customized by a team of highly-specialized airmen to showcase stealth technology. 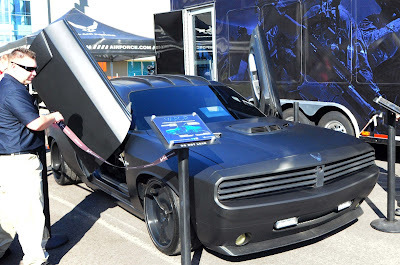 It also included the interactive "Airman Challenge" display. Fun and games were not the only things featured during the Grand Weekend Celebration. One of the higher priority missions is getting our wounded combatants stabilized and transported to medical facilities as quickly as possible. 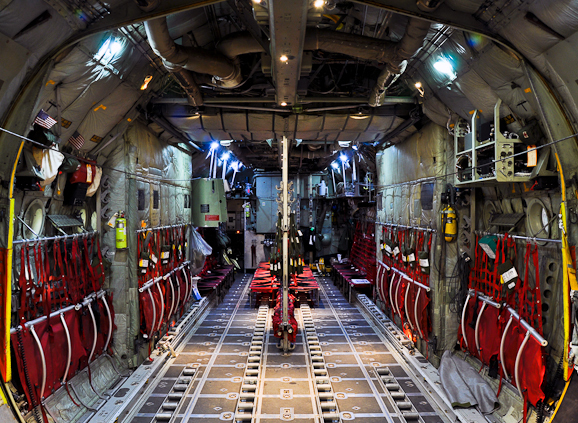 Large transport aircraft like this C-130E can be readily converted for this purpose. Dr. Greg Malone, assisted by camera-shy son Gavin, explains a little about the challenges of mobile trauma care, and the special equipment and training required to perform this mission for all the service men and women worldwide. If you watch closely, R2D2 photobombs the interview. The Independence, VC-118, required 3 months of restoration work before it was moved to the new building. One of the more interesting aspects was the removal of the nicotine because lots of passengers and crew smoked while it was in operation. According to Jennifer Myers, Museum Conservator, it even has ash trays in the cockpit, a definite sign of the times. 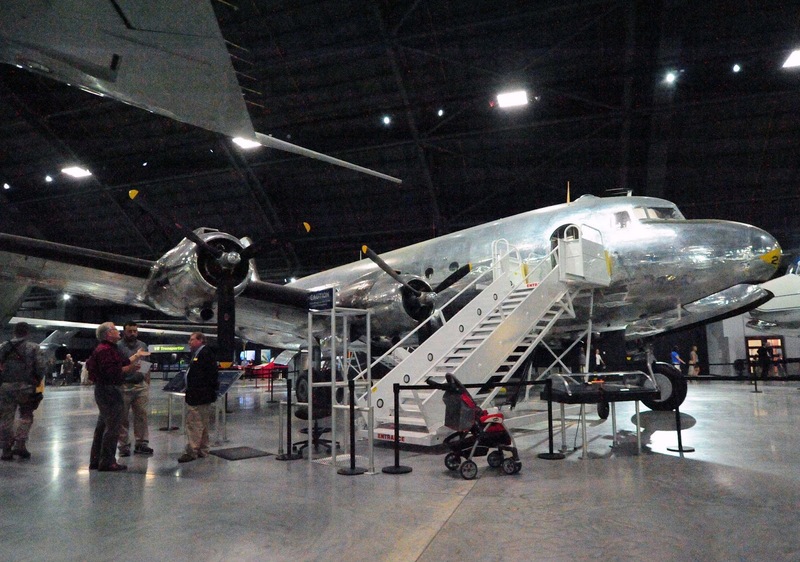 New Plexiglas and strengthened floors allow for increased visitor traffic throughout the plane. As far as the public is concerned, SAM 26000 is the biggest draw. It had the callsign Air Force One when the president is aboard and also had long lines throughout the day for people who wanted to walk through the aircraft. We will have more on presidential aircraft later. 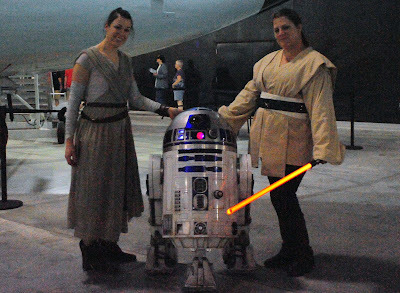 This is just a light touch of the things available to see and do in the new 224,000 building, which itself is larger than most air museums. As "Keeper of their stories," the National Museum of the United States Air Force has a huge task, and this expansion protects more of the priceless artifacts for future generations. 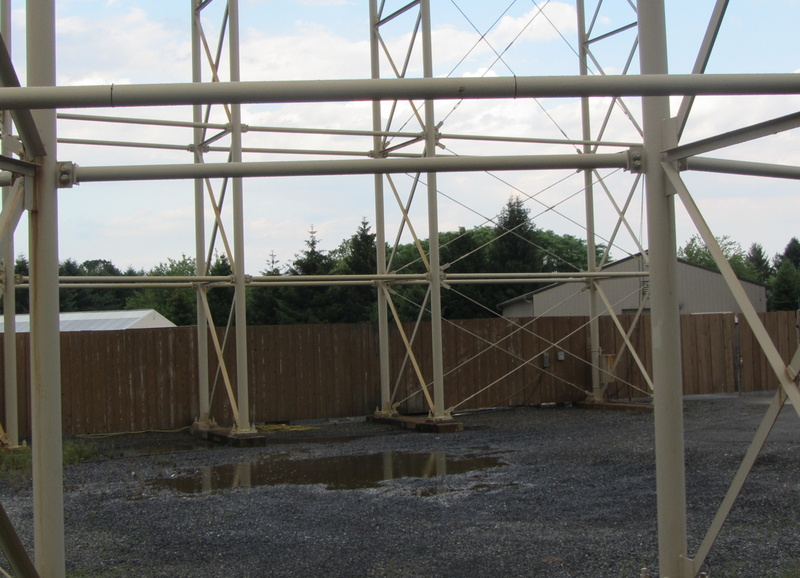 Looking to Own Part of the World's Tallest Coaster? 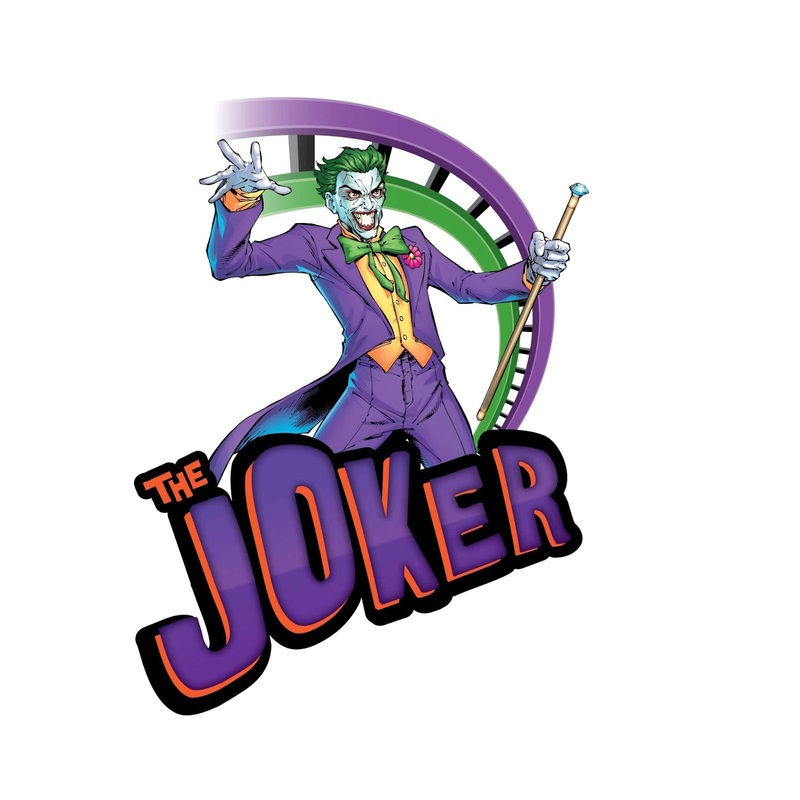 I believe this is a first of its kind since I've been writing about the amusement industry - fans (well the entire general public for that matter) can get in on the 'ground floor' of ThrillCorp, buying shares in what the company hopes will one day be a major force in the world of amusement rides. ThrillCorp, the patent owner of the Polercoasters and SkySpire designs, has decided to go public and solicit funding for their future operations under the SEC's "Regulation A+," which allows them to raise up to $50 million directly from individual investors with no middle man. People can invest as little as $200, getting 20 shares of the company. Looking at the plan from 30,000 feet, this is a modern version of crowdfunding, only approved by the SEC and investors really do own a part of the company, via stock. “We think our products have broad appeal and we like the idea of a group of shareholder supporters working with us from the ground up,” said David Gust, CEO of ThrillCorp. Also like crowdfunding sites, investors will receive benefits like all-year passes and such to the planned attractions, depending on investment level. ThrillCorp will use the funds to initially develop up to three sites featuring either a "vertical thrill park" Polercoaster, or SkySpire observation towers. The company believes their research shows between 30 and 50 markets in the U.S. alone that would support one of their towers. 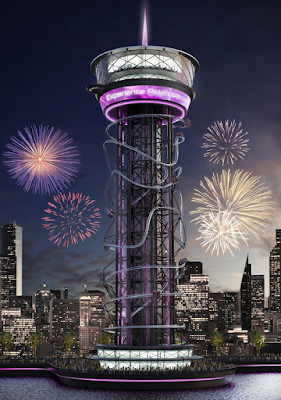 Both towers feature possible restaurants and observation decks at the top of the 600+ foot structures, with the Polercoaster featuring a drop ride, roller coaster and sky-walk, and the SkySpire features a relaxing gondola ride. The company's published offering with the SEC gives a bit more detail on their plans. Depending on how much is raised they want to pursue a Polercoaster in Myrtle Beach, South Carolina first, followed by one in Nashville, Tennessee, and SkySpire in an undetermined location. If they do not raise enough money to do all of them, then the Myrtle Beach project is listed as the one that will be focused on first. If they do not raise at least $5 million it sounds like investors will receive their money back, but if they cross that mark they will start at least one development. Obviously this is a very high risk sort of investment, and to be clear I'm not writing this to in any way promote the investment plan - I just find it to be a very interesting move that's worth writing about! ThrillCorp has set up a nice website with more detail, and anyone thinking of investing should really read the details of their SEC filing. 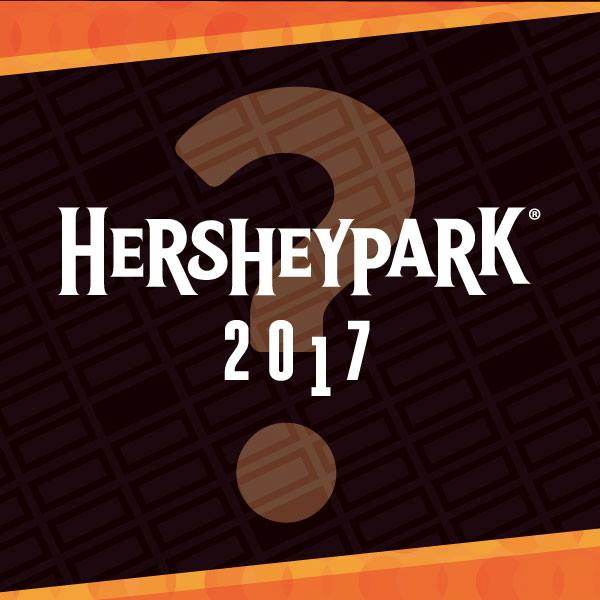 Time to get excited for a new for 2017 attraction at Hersheypark! While we have no firm details on what the addition will be, the theme park has started their teaser campaign on social media, promising weekly updates like they did leading up to the Laff Trakk reveal two summers ago. This is the image that came with the first teaser that confirmed that a new attraction is coming. At first glance it doesn't appear to include much in the way of hints, I even played with the colors to see if there was anything in the background pattern. However, the "2017" may be telling, depending on how much meaning there is behind the number 1. Not only is the 1 slightly lower than the other numbers, as if it were dropping, but it's also the shape of a tower ride by nature. 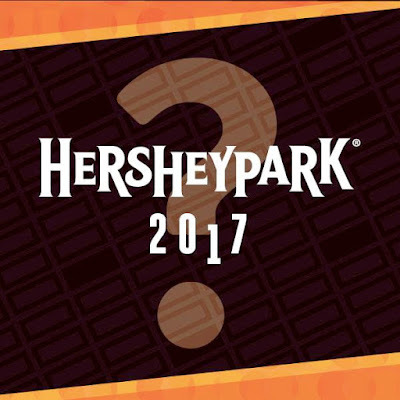 A big free-fall ride has been rumored as something that Hersheypark would like to add for years now, could 2017 finally be the one? 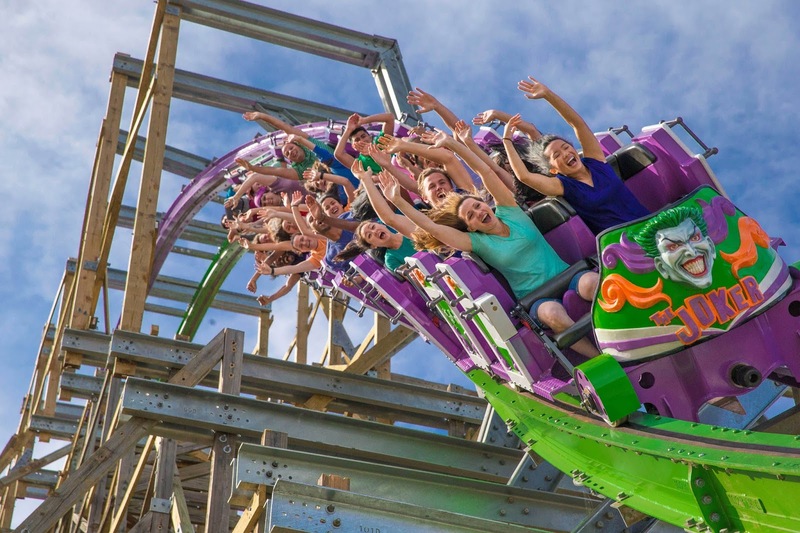 Rocky Mountain Construction is continuing to turn up the heat at amusement parks across the world in 2016, with a total of 4 projects coming to life this summer. 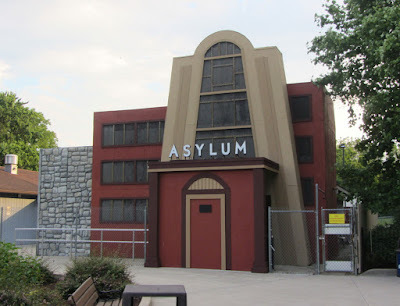 We've covered several of them already, but one that's already successfully opened that we missed is the Joker at Six Flags Discovery Kingdom. The ride represents another wood coaster conversion, utilizing much of the structure from Roar! (a 1999 Great Coasters design) to bring the Joker to life. 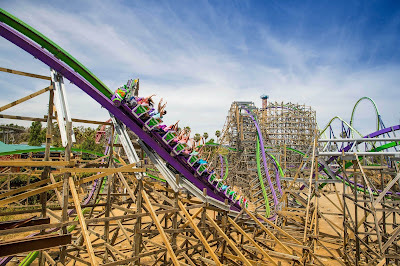 The new coaster features "twisted purple and green track; crazy, unexpected maneuvers; and frenetic, one-of-a-kind elements" that are unlike any ride in the Northern California market. While Roar! was a traditional wooden coaster with no inversions, the Joker features several upside-down elements due to the use of steel track. The tone of the experience is set when visitors arrive at the Joker, with the station and queue serving as a giant funhouse. Guests enter through the open mouth of a giant clown face, and the area has other theming adornments like oversized chattering teeth. The ride begins with a traditional lift hill to 100 feet above the park, and of course the first drop is up next. 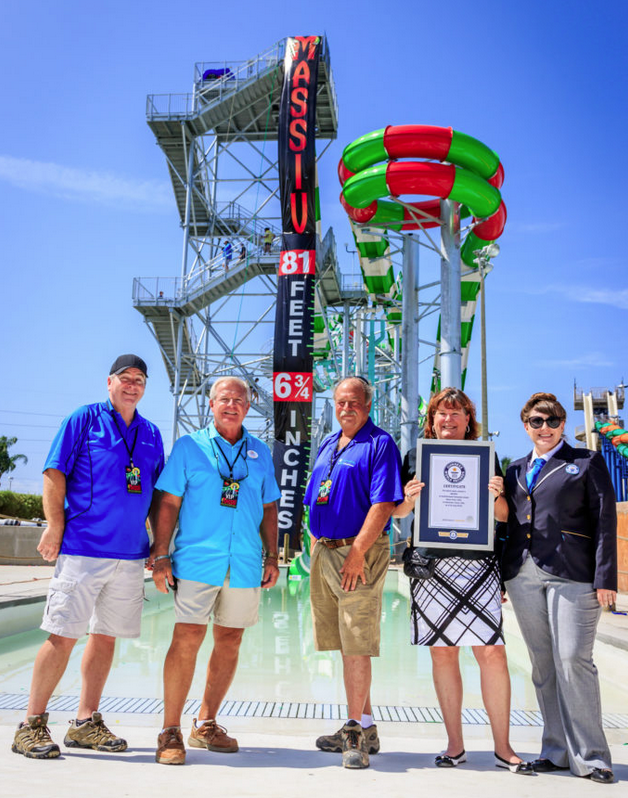 The ride quickly dives at a steep 78 degree and turns at the same time, hurtling the trains at 53 miles per hour into the first ever "step-up under-flip inverted roll." The rest of the 3,200 feet of track features extreme curves and banks, along with a zero-g barrel roll and 180 degree stall - both of which invert passengers. In total Six Flags Discovery Kingdom says that there are 15 separate moments of air-time to be found during the ride. Much like we've seen on other Rocky Mountain trains, the face plate of the Joker is elaborate - seen above - featuring the villain himself with a huge grin on his face. 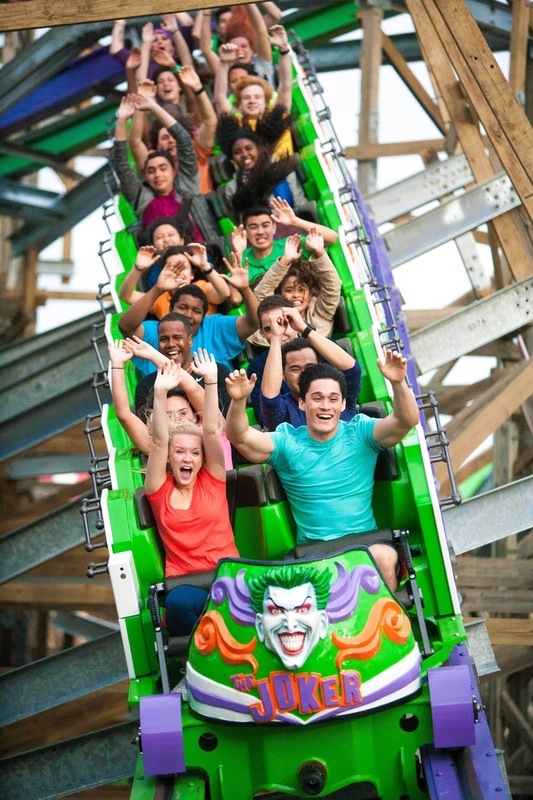 Six Flags Discovery Kingdom has shared this great footage of the Joker in action - check it out below! 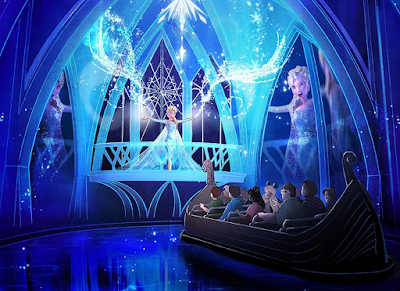 This past week a brand new dark ride opened at Epcot in Disney World that's themed around the adventures of the popular Frozen movie, named Frozen Ever After. It's been a while since an original dark ride like this opened at the park, and that and the still-strong popularity of Frozen created some wild wait times - up to 300 minutes - on opening day. The ride is located in the Norway pavilion, and replaces the classic Maelstrom attraction. Frozen Ever After uses the former attraction's ride system and much of its layout, with some minor changes to the queue and loading area that allowed for a couple additional scenes. The ride takes guests from Arendelle up into the world of Frozen, including the willow woods and Elsa's ice palace. The tone of the ride is upbeat and is not a retelling of the movie. Instead, it's just a visit to the Frozen world where riders get to see their favorite characters via the use of animatronics that look similar to those that opened in the Seven Dwarfs Mine Train. The changes in the Norway pavilion also include a brand new dedicated meet and greet area for the Frozen characters, bringing many more square feet of space to the Norway themed area. It hasn't taken long for many videos of Frozen Ever After to appear online, but one of the first I saw hit the web from Attractions Magazine is still one of the best - obviously this is a giant spoiler so only hit play if you want to experience the ride! Attractions Magazine has also shared a neat video showing Frozen Ever After and Maelstrom at the same time. It's pretty cool to see how so much has changed, but you can follow the ride paths just the same. 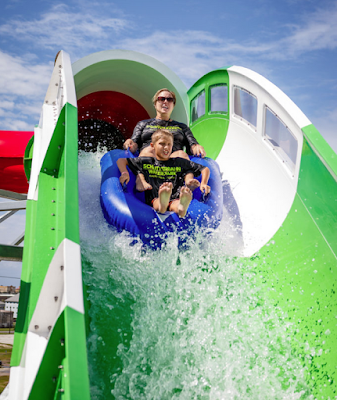 Schlitterbahn Galveston Island has opened the world's tallest water coaster, aptly named Massiv, to eager riders. Massiv, German for the world massive, represent a large investment into the Texas water park that is sure to turn heads of both visitors to the park and those passing by. Featuring slide pieces in green, red and white, the towering attraction stretches nearly 1,000 feet long and gives riders a coaster-like experience including four uphill sections. Much secrecy went into keeping the actual height of Massiv from the press for many months, even as construction of the slide was finished. Just recently park officials (seen above) had the ride measured by Guinness World Records to verify that its height - 81 feet, 6 and three quarter inches - makes it the tallest of its kind in the world. The water coaster's thrills start after a climb of 123 steps to the very top, where riders launch in a double tube down the first drop. The 135 segments that make up Massiv include several steep plunges, tunneled curves and a translucent helix section. The finale of the ride is a triple-down plunge toward the splash pool, touted by the park as the first on a water coaster. Additionally, the uphill sections do not have a net 'cage' around them like other water coasters (thanks to a new slide design), giving riders an unparalleled view of the action. 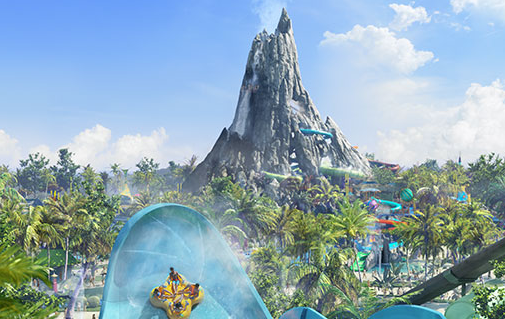 Universal Orlando has revealed some of the first specifics of their new water theme park, Volcano Bay, including descriptions of some of the park's main attractions. The park will feature slides from mild to wild, 18 in total, and should be open by the start of June in 2017. The entire park is themed around the ancient Waturi islanders, located somewhere in the sunny Pacific. The islanders' home is a water play land, made of up four themed sections - The Volcano, Wave Village, River Village and Rainforest Village. Universal says that visitors will not have to carry tubes to the top of rides, there will be a wide variety of food and beverage offerings that exceed typical water park offerings and a large water-based transport system will help eliminate long lines. More details of the entire plan to eliminate lines on the slides will be explained in coming months. The star of the new park is a 200 foot volcano, named Krakatau, which features a 125 foot tall, 70 degree trap-door speed slide that actually travels under the wave pool before the run out. 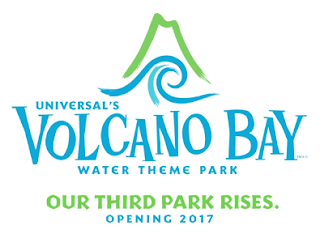 The Volcano area also includes two more trap-door slides and a mat-racer that ends in "underwater sea caves." Waturi Beach will be a large multi-directional wave pool complete with sandy beaches to lounge on, located right at the base of Krakatau. Other attractions described on the new website for Volcano Bay indicate a wide variety of slides - everything from twisting tube and body slides to family raft and even North America's first "saucer ride." 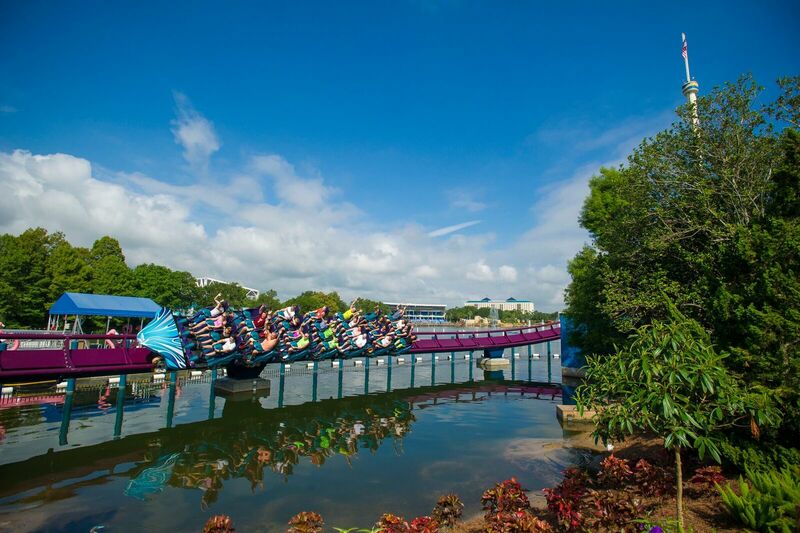 There will also both a lazy and a not-so lazy rivers for guests to enjoy and use as transportation. A signature attraction found only at Volcano Bay will be released later. 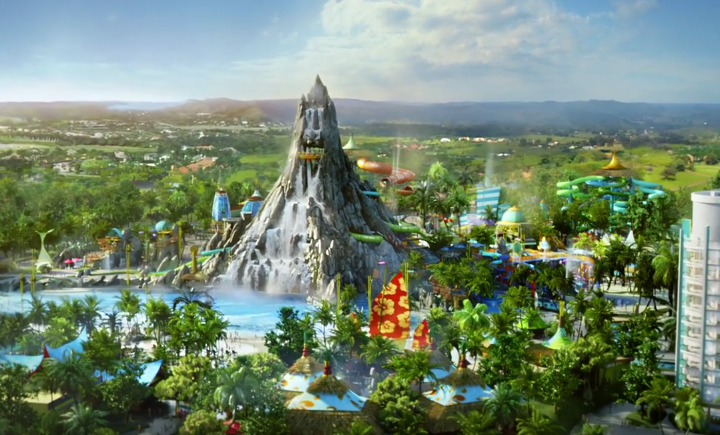 This new promotional clip also shows off much of the beautiful grounds of Volcano Bay, and even more views of the different attractions that will await guests. The park looks like it will be wonderfully themed and a must-visit for those at the resort. Multiple news sources today are reporting that Six Flags Entertainment is fostering a partnership that will lead to an investment in branded theme parks in Saudi Arabia. The company has been on a recent push to increase their revenues from foreign licensing deals, having already announced them for parks in Dubai, China and Vietnam. The information released on the possible Saudi Arabia project is very brief, with some sources making it sound like Six Flags will invest their funds - however I would wager that the park would simply be another licensing arrangement. Saudi Arabia's economy has long been dependent on oil, but in recent years they've begun to push for "economic diversification," including increased tourism to bring new visitors in and also keep residents from traveling to other countries. The location is an interesting one as Saudi Arabia is known for gender separation in public places, and morality police on the streets. This could make for interesting theme park dynamics - will there be a roller coaster for males only, or dark rides only departing with female passengers? I'm not sure how a water park could possible work, either, despite the high temperatures making it a great fit. Park designers, usually a duty for Six Flags under the deals, will certainly have their work cut out for them! 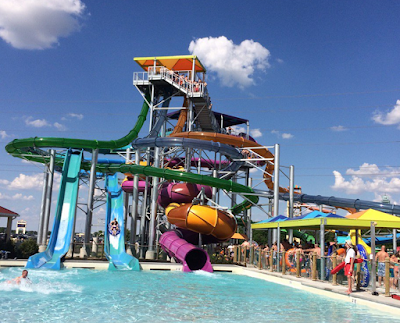 The summer season is now rolling along at Dorney Park, a great time to check in and see what's happening. 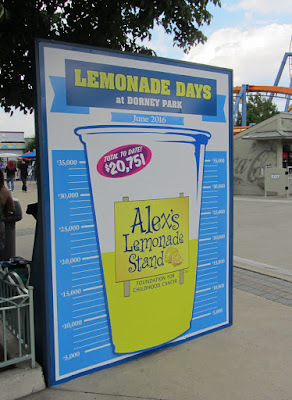 The month of June is again Lemonade Days at the park, supporting fundraising efforts for Alex's Lemonade Stand. Part of the proceeds from an everyone-pays-kids-price online sale, plus money the park is donating when #OneDorneySmileAtATime is used on social media are going to the foundation. So far they've raised nearly $21,000 this year! As we've seen at most Cedar Fair parks, and many others for that matter, Coca-Cola Refresh Stations are popping up at the park. With the push for all-season refillable cups going strong, these additions make a lot of sense. 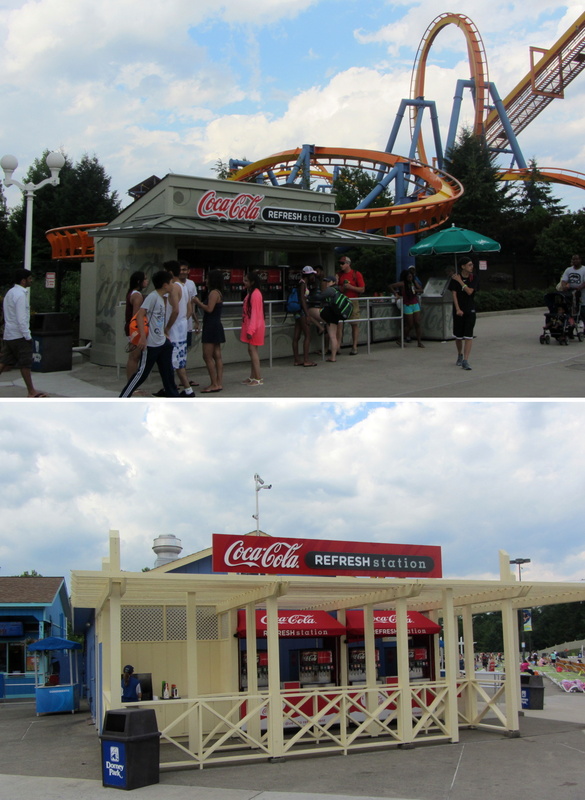 One has been added just inside the park's entrance, and another in the food area of Wildwater Kingdom. I'm not sure if I missed this earlier in the season or it is a recent change, but the small retail stand that was located above has been removed, with additional seating taking its place. The start of the summer season also means that more of the park's live entertainment is running. 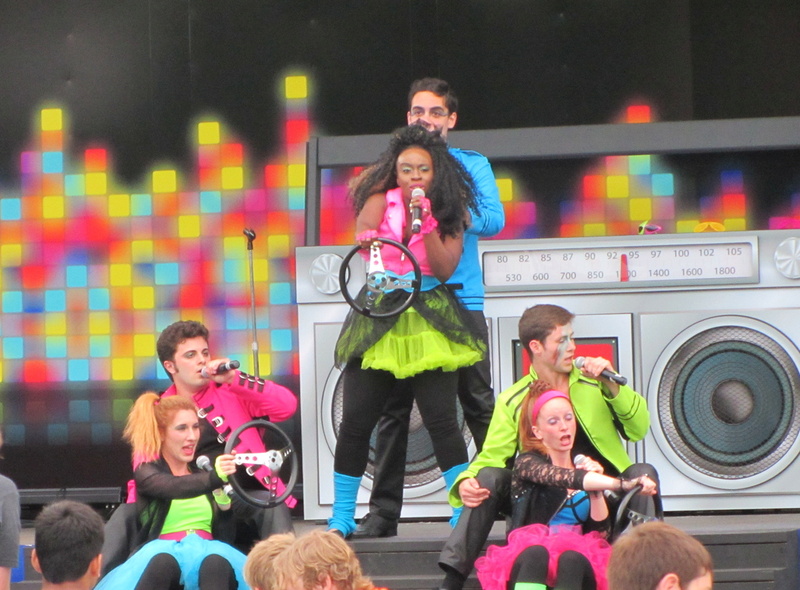 Above are the performers in Totally 80's, which plays at the Coasters Bandstand on the main midway. This weekend was also the start of All Wheel Sports at the Good Time Theater. Moving on to Haunt news, it looks like we can confirm that Desolation will not be returning this fall. 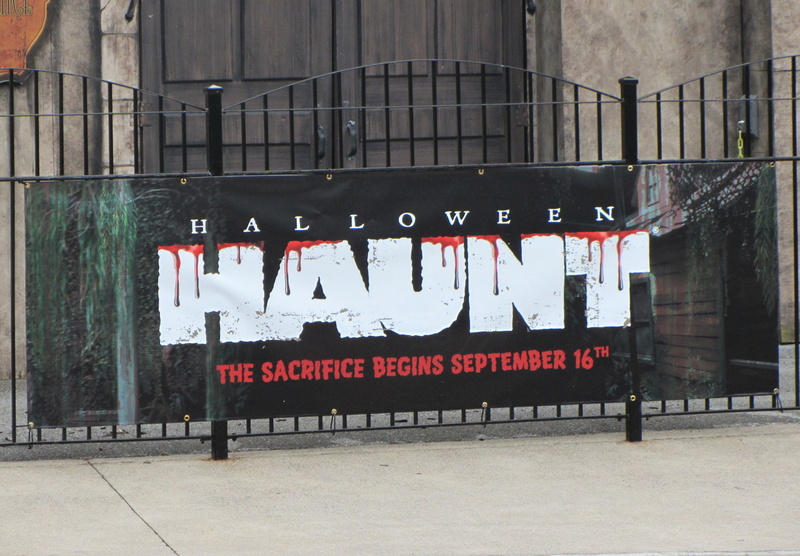 Here is what was the exit to the haunted house, note that the small outdoor extension / photo sales area has been torn down, with only the main building left. And in this odd photo I took you can only really notice that the large outdoor sets for Desolation (the town scene) are no longer standing. 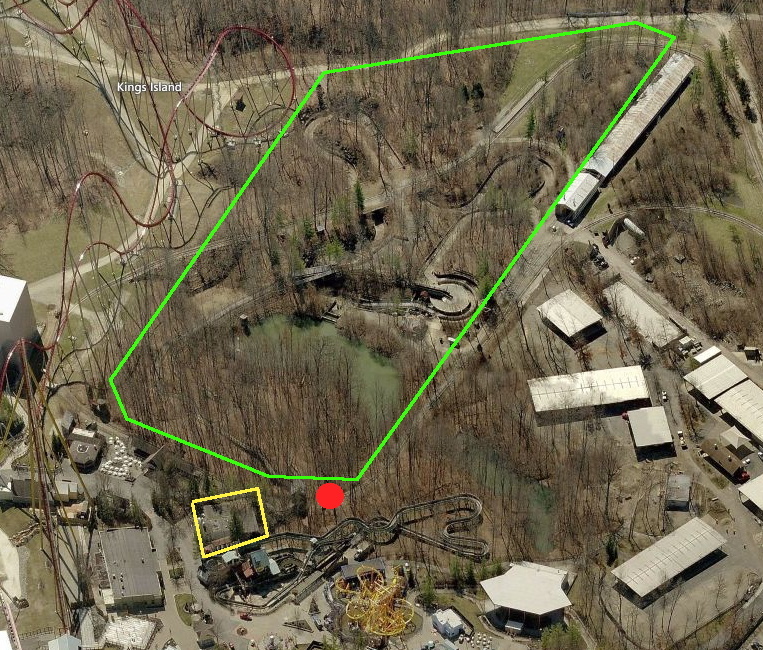 Perhaps that haunt hint the park's General Manager left a while back will be located in this area. Here's a Haunt banner on the side of Mansion House, which still looks untouched for now. The fun starts on September 16th! Asylum has also received a brand new paint job, featuring a bit more color than it previously had. I wonder if the inside of this ever-popular maze will see improvements as well? That's it for now, more to come as the season progresses! Kings Island's water park, Soak City, has receive a large new slide tower for 2016, named Tropical Plunge. 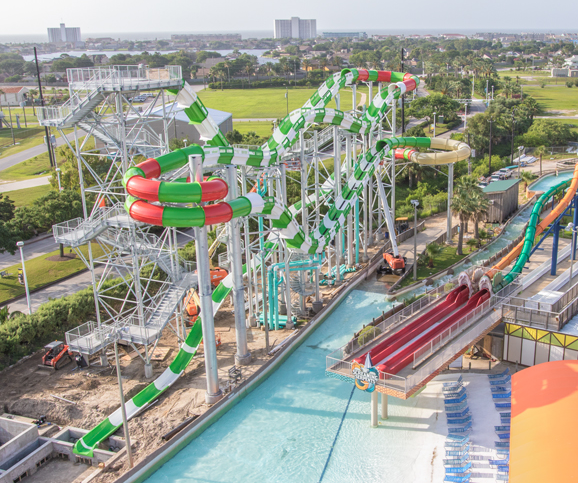 It opened to park guests a few weeks ago, giving them three new ways to plummet toward the splash pool below on a total of six new slides. 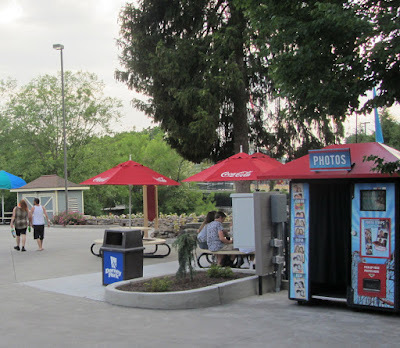 The tower is the same that we have seen added at other Cedar Fair parks in the past few years, all of which have been very well received and popular. The tower stands almost 70 feet tall and at the highest point features three trap-door free fall body slides. A lower level of the tower has two traditional tube slides and one totally enclosed slide featuring tight 360 degree turns. Tropical Plunge joins Soak City's other exciting attractions, like the Mondo Monsoon tornado ride and the mat-racing Rendezvous Run. While still early in the season, Kings Island's social media team has been teasing about what we would assume to be a major addition in 2017. 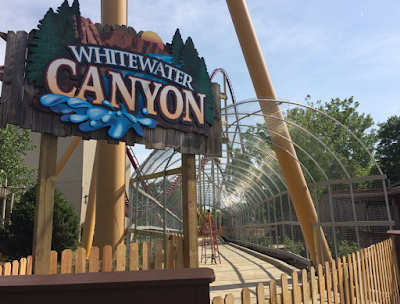 Early on it became apparent that the Rivertown section of the park, already home to Diamondback, was seeing some changes before the season started. The park confirmed that the entrance to Whitewater Canyon, a river raft ride, was being moved to a new spot near Diamondback's first drop. 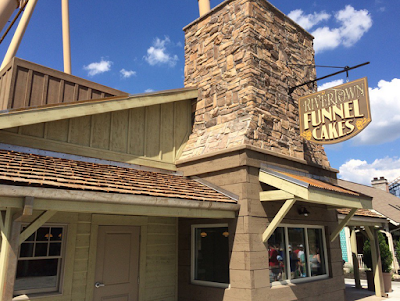 Around the same time the park also confirmed that a brand new Funnel cake building was going up in Rivertown, with the former one (located by Whitewater Canyon's old entrance) being razed. 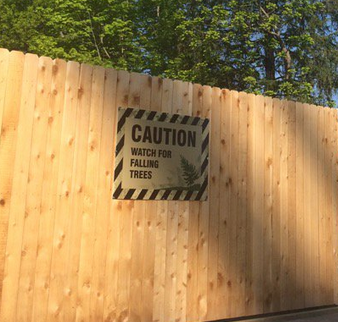 Once the raft ride entrance and old funnel cake building were gone, this fence went up with a teaser sign showing a falling tree and a sign warning of... falling trees. So if we look back at what we know so far from the air, the red dot is the old whitewater entrance, the yellow building is the now razed old funnel cake stand. So clearly that little pocket of the area is being cleared out... for the entrance to something? Looking at the area beyond it, the majority is filled by the raft ride - however that's easy to go over if we're looking at a coaster here. I highlighted the area in green that makes sense to me for work to take place in... sort of imaginary boundaries of this hypothetical ride. 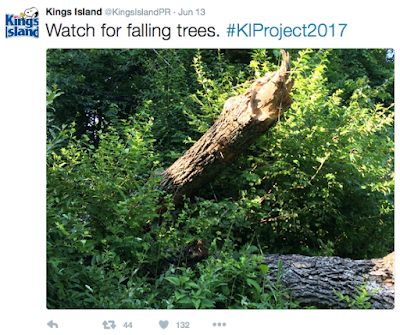 Kings Island's Twitter feed is especially full of clues... here is one of an obvious land clearing site reminding us, once more, to watch for falling trees. Don't people yell "timber!" when that happens? Seriously, be careful of those trees. Since the aerial view above shows tons of trees in what I'm thinking the worksite is, then there are many to fall yet to make room for this addition. But could this ride be in a very forested setting? Some of the best wooden (and a few steel) coasters are in heavily wooden areas. Also of note, and included in the Twitter clues, is that the park's train heads right through the area and if my plan is correct, will either cross over the tracks or have its entrance area include a crossing over them. 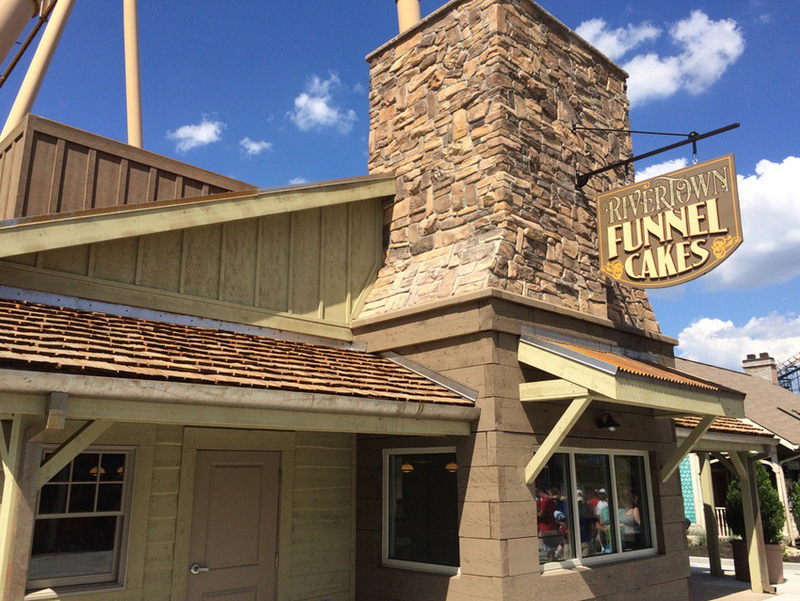 Many Cedar Fair parks have moved toward announcing big new rides fairly early in the Summer, so we might not have too long to wait to hear more! P.S. 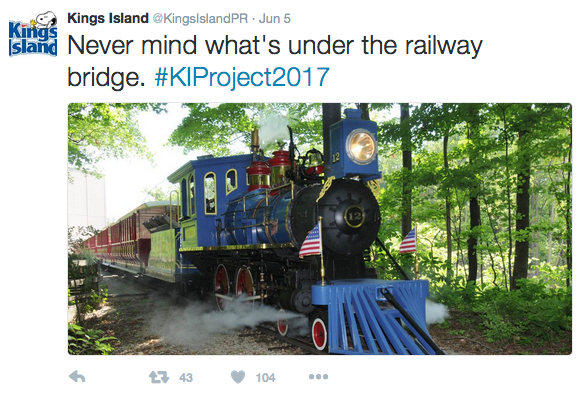 - I'm aware that some plans leaked for the park's 2017 ride; however I'm choosing to not link to them here and just go off of what the park has said for now... mysteries are always more fun! The bumper cars have left the building. Six Flags Over Georgia has revealed that the Dodge City Bumper Cars - at the park for more than three decades - are officially closed. 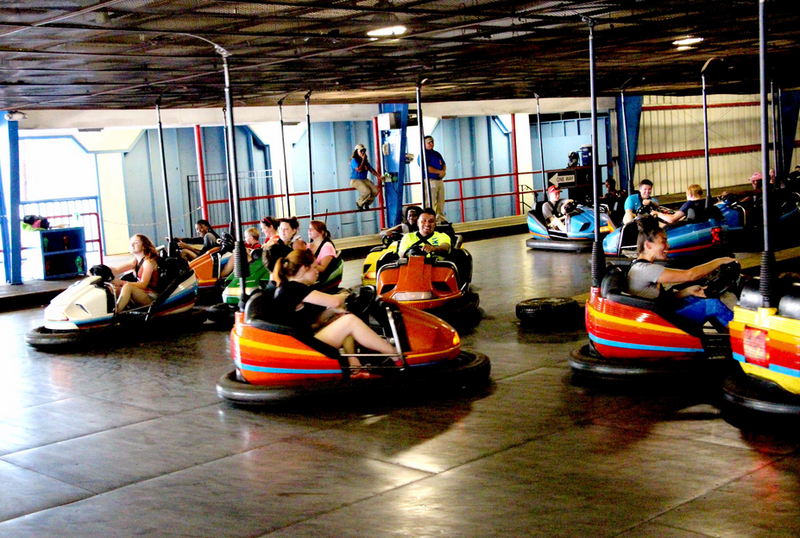 Yesterday was the theme park's 49th birthday and also the final day of operations for the bumper cars. Hopefully diehard fans of the park were able to swing by for one last bump! With no detail at all given so far, the park is saying for sure that the bumper cards are being removed for a new for 2017 attraction. Exactly what remains a mystery. The bumper cards were located in the Cotton States Exposition themed area at the park, right near Superman: Ultimate Flight. 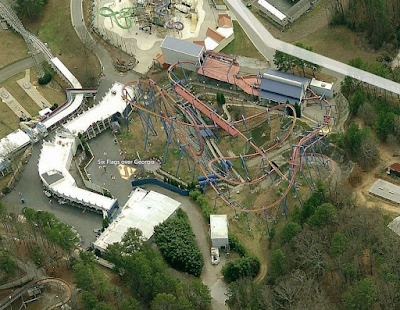 In the aerial above, the bumper car building is the large white rectangular structure in the bottom left-ish. Obviously it is a pretty large building, so removing it could free up a lot of space. There are already rumors of what could be coming to the area - especially considering its proximity to a Superhero themed ride - but we will wait and see what the park has to say at the end of the Summer. 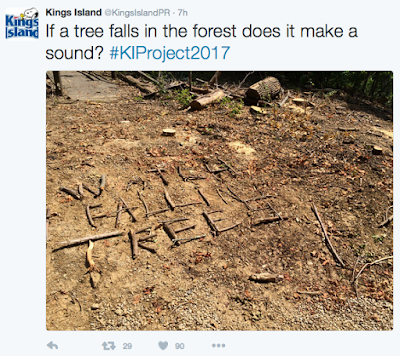 They are starting the project pretty early, though, so maybe something big is on the way! 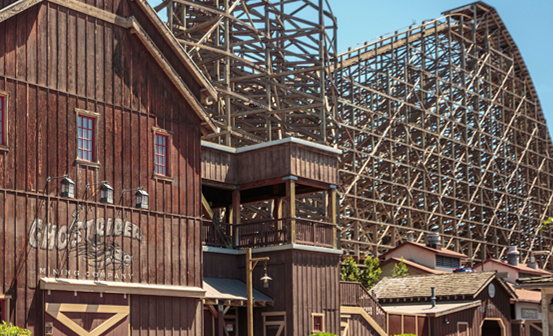 Knott's Berry Farm's GhostRider wooden roller coaster is officially back in action after a 9 month restoration and refurbishment project. The love and care was given to the West coast's longest, tallest and fastest wooden ride in celebration of Ghost Town's 75th Anniversary, where the ride calls home. The theme park brought on Great Coasters International to make changes to the 118 foot tall ride while still preserving its wild nature. The famous wood coaster builders completely re-tracked the entire 4,533 feet of track to bring the ride back to its original form, or even better. The ride opened in late 1998 as the final addition designed and planned by the Knott family before Cedar Fair purchased the park. Along with small changes to the track profile and the removal of the mid-course brakes, GhostRider received three brand new Millennium Flyer trains that are themed to ore cars. The new trains provide a better ride experience and have received rave reviews on other Great Coasters International rides. The coaster reopened this past weekend, which also kicked off the summer festivities being held around Ghost Town's 75th Anniversary celebration. 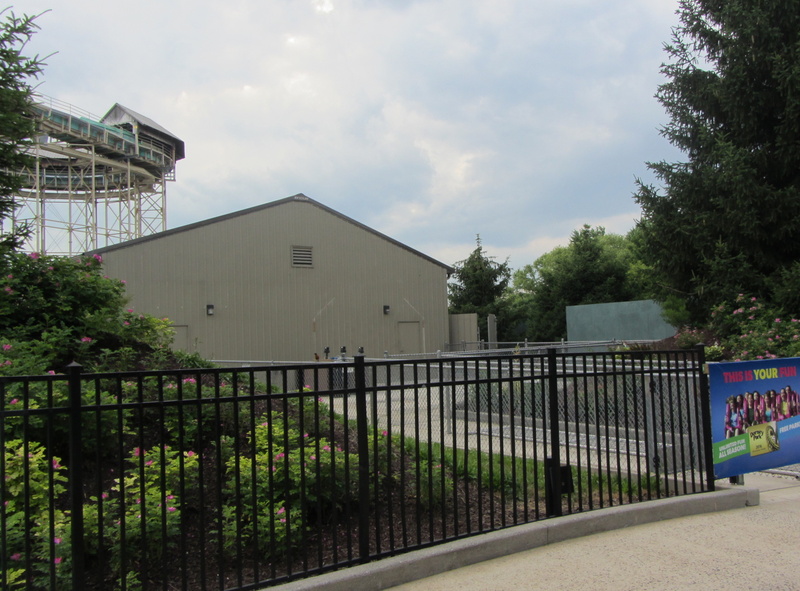 Read more about all the changes the park has made at this link. Now are you ready for a ride on the all new GhostRider? 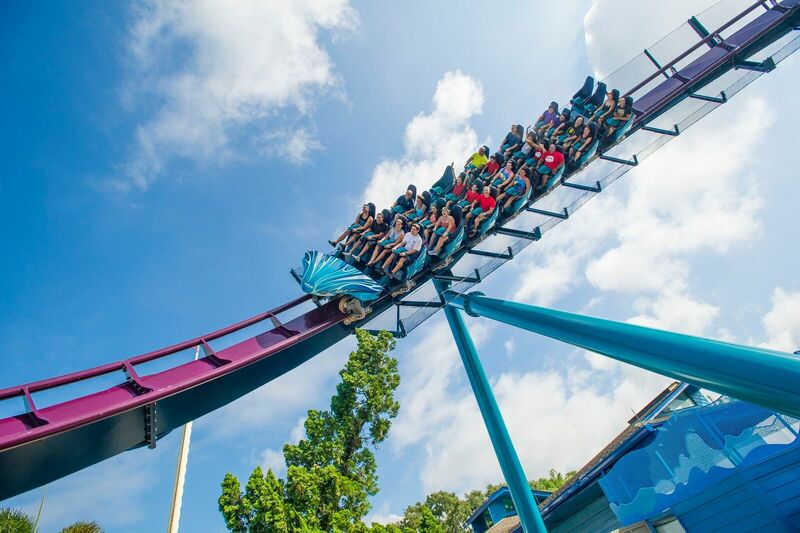 SeaWorld Orlando's Mako has already given tens of thousands of rides to anxious visitors, having officially opened to the public this past weekend. 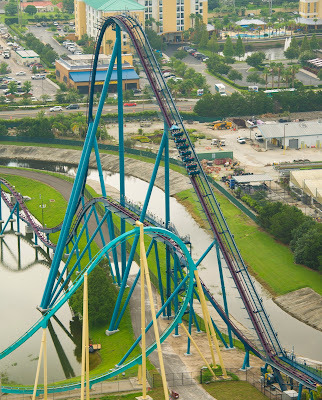 Standing 200 feet at its peak, and seen above, Mako is the Orlando area's tallest, longest and fastest roller coaster. 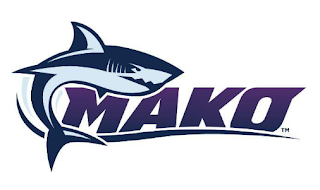 Mako's theme comes from its location in the park, known as Shark Wreck Reef, a two acre land that also features themed retail, dining and the existing Shark Encounter attraction. Mako was designed for SeaWorld Orlando by Bolliger and Mabillard, and joins the ranks of 100+ coasters they have now created - all known for their comfortable ride experience. The coaster starts with a 200 foot tall lift hill that gives riders a clear view of Orlando around them, then a first drop that sends the trains at 73 miles per hour. In true hyper coaster style, Mako is filled with plenty of large air-time hills (9 to be exact) that give a floating sensation to riders over the 4,760 feet of track. A journey on Mako begins with a queue that is themed to being in the water under a boardwalk, "winding through shipwrecks and shadows." 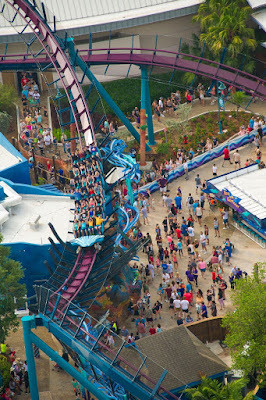 Riders cannot see most of Mako's layout as they pass through the area, complete with underwater theming like coral reef painted on the ride's supports. Once in the shipwreck themed station, a dazzling display overhead shows sharks swimming around, moving in a frenzy as the trains dispatch. 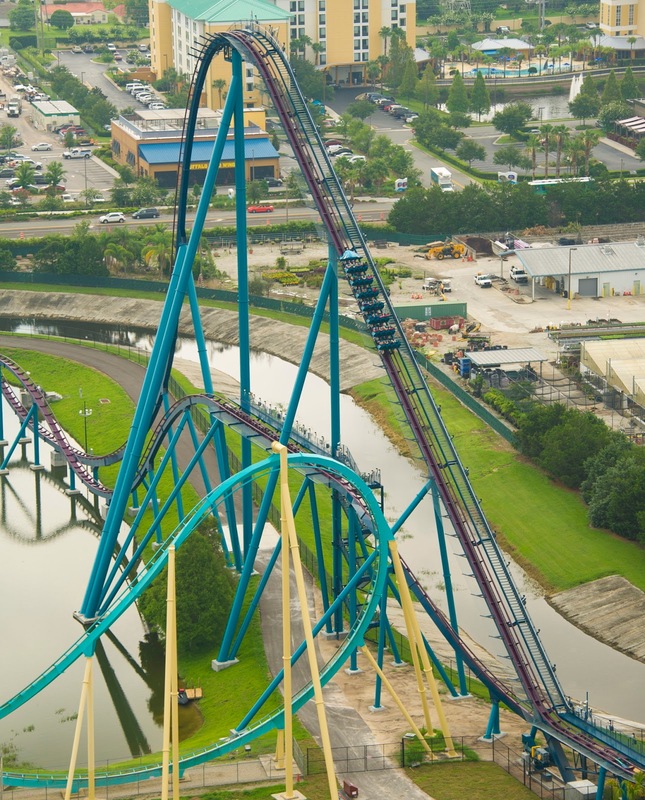 In total, 1,864 feet of Mako's track are located directly over water, like the finale turn over the park's central lagoon seen above. As the trains pass through this section of track - which includes two passes over the midway - an intelligent 48,000 watt sound system plays a custom theme track to add to the ambiance. Mako joins the ranks of SeaWorld Orlando's other thrill rides, including Manta, a flying coaster, Kraken, a floorless coaster, Journey to Atlantis, a water coaster hybrid, and the family friendly Shamu Express coaster. 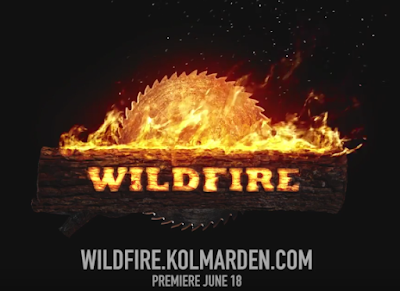 Just days after completing the ride's track, Kolmarden began test runs of Wildfire, their new Rocky Mountain wooden roller coaster. This is one of the season's most anticipated rides, and it is now planned to open this Saturday, June 18th. To tide fans over, especially ones that do not live anywhere near Sweden, the park quickly released this point of view video of the ride. Ready? Granted it is just a video, but it really looks like Wildfire will deliver one heck of a ride when it opens. From the moment it plunges down that 161 foot drop at 83 degrees the ride absolutely does not let up. There are a total of 3 inversions mixed in the ride's 4,265 feet of track, but with so many extreme banks one might argue there are even more. I can only imagine how many of those hills provide wicked air as well! So, who's booking tickets to Sweden for this Summer?